Spangdahlem Air Base, Germany, home of the present-day 52nd Fighter Wing (FW), has been a military presence in the Eifel Mountain region of Germany for over four decades. Its diverse history actually began shortly after the end of World War II. Spangdahlem Air Force Base is located in southwestern Germany near the border of Luxembourg. Over six million visitors come to this region each year to enjoy the history, nature, and scenic views of the area. Trier, the oldest city in Germany, is twenty minutes from Spangdahlem. The Mosel River, with its picturesque villages and famous wines, flows nearby. The base's host wing, the 52nd Fighter Wing maintains, deploys and employs F-16 and A-10 aircraft and TPS-75 radar systems in support of NATO and the national defense directives. The wing supports the Supreme Allied Commander Europe with mission-ready personnel and systems providing expeditionary air power for suppression of enemy air defenses, close air support, air interdiction, counterair, air strike control, strategic attack, combat search and rescue, and theater airspace control. The wing also supports contingencies and operations other than war as required. 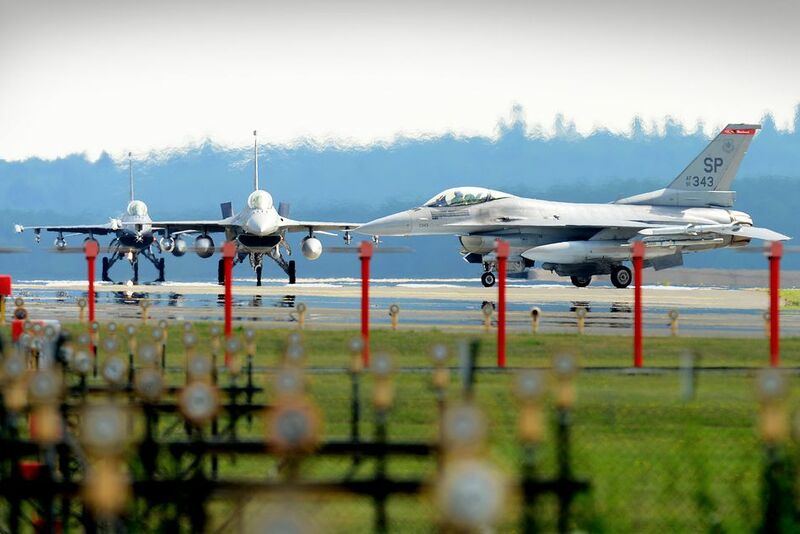 The 52nd Fighter Wing—Spangdahlem Air Base's host wing—maintains, deploys and employs F-16CJ and A/OA-10 aircraft and TPS-75 radar systems in support of NATO and the national defense directives. The wing supports the Supreme Allied Commander Europe with mission-ready personnel and systems providing expeditionary air power. The wing also supports contingencies and operations other than war. Eifel Arms Inn provides accommodations for individuals and families that are on TDY and PCSing in or out of the Spangdahlem community. All units come with the standard AF Inns Amenities of a microwave, small refrigerator, and private bathrooms. All of the TLF units include full kitchens, living rooms, full baths, washers/dryers and balconies with table and chairs. The kitchen is supplied with cookware, dishes, and silverware for guests to use while in the TLF unit. There are units to accommodate any size family. The Eifel Arms Inn also offers pet-friendly TLF's. These rooms are quite popular and fill up fast. There is a $10.00 per night additional charge for these units. Duty personnel (PCS, TDY) may make reservations anytime 24/7 by calling Phone: 011-49-6565-95-6500 or DSN: (314) 452-0500. Space A reservations can be made 120 days prior to arrival and for only 3 days maximum. If the reservation can't be taken (due to availability or projected occupancy), you will be referred back to 30, 14, 7 or 3 days prior to arrival. If you're patient, it may work out. Inbound personnel can make reservations for up to 30 days prior to arrival. Lodging guests must provide a valid credit card number at the time of making a reservation. If space is not available on base, you will have to stay at an off-base hotel/motel. A list of hotels/motels can be provided upon request. Once you arrive, you must check into the Eifel Arms Inn (Spangdahlem). If you have not arrived by midnight, your reservation cancels out in its entirety. Lodging operates a shuttle service to and from Frankfurt, Rhein-Main, Luxembourg and Hahn airports. Call the reservations office (452-7684) for prices and scheduling. The Housing Management Office assists military members in securing a home on base or the economy. This service is available to members who are command-sponsored or have an approved non-availability letter. There are some landlords who will not accept pets. The Housing Referral Office is located in Bldg 454 in the military housing area on Spangdahlem. They are open Mon-Fri 0800-1600 and closed on German and American holidays. For information about housing, call 452-6560 or 011-49-06565-61-6560. Mandatory housing has been lifted. Accompanied members may choose to live in government-controlled quarters or may live in the community. Unaccompanied E4s with less than 3 years of service must report to Central Dormitory Management, Building 335. SSgt selects and E4s with over 3 years of service will be living off base and can only stay in the dorms if space is available. Both Spangdahlem and the Bitburg Annex housing are set up as stairwell units, with 3 floors at Spangdahlem and 4 floors at Bitburg. Government-leased housing consists of townhomes and four-plex units in three different off-base locations. Members desiring base housing should submit an advanced application (DD 1746) through the housing office at their losing base. The effective date will be the first day of the month, one month prior to your arrival. You will need two copies of your orders. Members not submitting an advance application may complete the DD 1746 and will be added to the waiting list. For two and three bedroom units, the wait is 30 days or less. For four-bedroom units, the wait is approximately 45 days. For 5-Bedroom qualified members, the wait is normally 18 months. If necessary, the Housing Office will assist you in making temporary housing arrangements. Some hotels offer short-term leases if lodging issues you a non-availability statement. The Unaccompanied Personnel Housing (UPH) is centrally managed at Spangdahlem. There are ten UPH buildings that house over 786 people on Eifel East (Spangdahlem), while Eifel West (Bitburg) has one apartment style facility housing over 60 people. All UPH residents have single, private rooms in modern facilities that provide a comfortable home. The wing has four 1+1 facilities where residents have a private room but share a kitchenette and bathroom. All UPH's are centrally located near base bus routes with spacious day rooms, laundry rooms, and storage space. E4 and below UPH residents who wish to reside off base with entitlements may fill out a BAH application through the Central Dormitory Management Office located in building 335. The housing director may authorize BAH releases if the wing wide UPH occupancy rates are above 90%. BAH is released by date of rank, with the most senior member on the waiting list offered the first opportunity to move. The Eifel Child Development Centers (CDC) won Best in USAFE 2001, making these facilities exceptional for children in their preschool years, from ages six weeks to five years. A full array of programs are offered at both Spangdahlem and the Bitburg Annex's two Child Development Centers (CDC): The Spangdahlem facility (Eifel East) is located in Bldg 457 and Bldg 440. Building 457 offers care for children ages six weeks - 36 months. Building 440 provides full day care for children 3-5 years of age. The Bitburg Facility (Eifel West) is located in Bldg 2001 and Bldg 2002 in the French Caserne. Due to the lack of off-base child care facilities, it is highly recommended that you think about taking action on childcare issues before PCSing to Spangdahlem. Both Child Development Centers and School Age Care programs have waiting lists. Spangdahlem AB has a Family Day Care (FDC) program that serves children ages birth to 12 years and has homes located both on base and in all of the government leased housing areas. A variety of services are offered including full-time, part-time, weekend, drop-in, swing-shift and before and after school care. Parents may place their child on the waiting list 1 month prior to arriving in country by FAXing a DD Form 2606 AND a copy of their orders to the Eifel East CDC,(DSN Fax #452-5589/ Civ. from stateside: #01149-6565-61-5589), Eifel West CDC, (DSN Fax 452-9245/ Civ. from stateside: #01149-6565-61-9245), or both. There is no requirement to use the Bitburg or Spangdahlem CDC based on your housing location. You MUST contact the centers upon arrival in country. Shot records are required at the child care centers. The School Age Care Program is open Monday-Friday from 0630 to 1800. Hourly care is provided on a space-available basis. Spangdahlem offers education opportunities for the entire family. The Base Education Center is the focal point for education information for the Spangdahlem community. DoDEA (Department of Defense Education Agency) operates schools at Spangdahlem and the Bitburg Annex with classes ranging from kindergarten through 12th grade. The area you live in determines whether your child will attend Bitburg or Spangdahlem Elementary or Middle School since these grades are available at both the main base and the Bitburg Annex. Bus service is available for families with school-age children living on the local economy. When first arriving at Spangdahlem, families are usually billeted in Temporary Lodging Facilities (TLF). We recommend that each family register their child(ren) in the school where they expect to live. School bus transportation is provided between most TLF s and Spangdahlem or Bitburg Schools. Registration for school begins in early August. You may also register at any time during the school year. The DODEA School Year begins the last week of August. The school population consists primarily of dependents of American Military and DoD civilians. There are a few tuition-paying pupils who enroll on a space-available basis. Many students have a foreign-born parent and are bilingual. Bitburg Elementary, Middle and High School all use DoDEA Curriculum Guides/Standards. Service is offered for Special Education—severe to moderate students. Advanced courses are also offered. The 52nd Medical Group located on Spangdahlem Air Base provides primary medical and dental care, pediatrics, Women's Health, flight medicine, and life skills support. Eifel West, located on the Bitburg Annex, provides pediatric dental specialties and EDIS. Medical services are available to civilian and contractor employees for a fee. Retirees, non-command sponsored dependents, civilians, contractors, and their family members can be seen at the 52nd medical and dental clinics on a space available basis only, which is extremely limited. Due to a transition from a hospital to a clinic family members do have access to routine care but in many cases they will be referred off base to the four local hospitals, especially for emergency care, at either: Marienhausklinik, Bitburg; St. Elisabeth Krankenhaus, Wittlich; Klinikum Mutterhaus der Borromaerinnen, Trier or Krankenhaus der Barmherzigen Bruder, Trier. Dental sick call is by appointment. Appointments are generally scheduled within 24 hours of calling. The after-hours dental advice line can be reached through the main medical appointment line. Dental care for family members is extremely limited and is provided on a 5-day space-available basis only. Military members are highly encouraged to have their family members enrolled in the Tricare Family Member Dental Plan. If you are already enrolled, you will automatically be covered at your new overseas base. There are several dentists in the local area that are part of the Tricare Dental Network. For additional information, visit the TRICARE website.